At Brackett Heating and Air, we know that when you are having a problem with your HVAC Equipment, you want someone knowledgeable that you can trust. If, after working with our company you are unhappy with any aspect of our service, please give us a call. We will make every effort to meet your expectations. In addition to any Manufacturer’s Warranty on equipment and parts we will repair any condition that cases the system to be inoperative for a period of 5 Years as long as you do your part by maintaining an active Maintenance Contract. We realize the inconvenience of having one of our installation teams come into your home to replace your HVAC Equipment. That’s why we go the extra mile to put your mind at ease. You can relax knowing that your property will be cared for like it is our own. We always lay down drop cloths to protect your floors and furniture from debris and scratches. WE NEVER SMOKE IN YOUR HOME. We understand that you have other things to do than wait around for one of our Service Technicians to come to your house. This is why we provide a three hour window so you can plan your day accordingly. Our office staff will go out of their way to accommodate any special circumstances such as “Lunch Hours” or other special times. Our customers are the reason we exist and we do everything we can to give you the best service we can possibly offer. 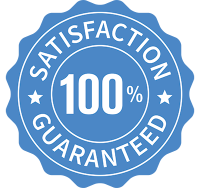 While not every manufactured piece of equipment is delivered to us in perfect condition due to circumstances beyond our control, we do, however, value our customer’s expectations of receiving 100% functioning equipment. Therefore, if there is a unit that has an unusual service problem we will fix it or replace it with an equivalent piece of equipment. Many so-called “Lemons” can also be a result of improper installation. That is why we make absolute sure that we install the equipment to provide proper airflow and attain top efficiency as well as system performance. We have customers that started with George “Pop” Brackett back in the early 50’s and we have continued to add members to our customer family since then. Our customers keep coming back because we provide the Best Service, and the Best Value. They continue to stay with Brackett because we make absolute certain that all work we perform meets their expectations. The job is not finished until you are 100% Satisfied. We do not have a lowest price guarantee. We believe that the system you are purchasing for your home is one of the most important mechanical systems for providing true comfort. Your system is very different than purchasing a vehicle from a dealership, which is produced at the same plant no matter where you purchase it. HVAC systems are very complex and require a great level of knowledge in order for it to work properly. Our men are trained above and beyond the requirements set forth by the local Building Commission to ensure you are getting a system that will be dependable for many years. A typical heating and air conditioning system will last approximately 16.7 years. We believe that the quality of the work we perform is as important as the equipment you are purchasing. Companies that lower their price below what they feel is a fair profit will often cut corners in order to regain that lost income. This is not a sustainable business practice and often results with the inability to create a lasting company. If the company is no longer in business, they will obviously be unable to offer any warranties that you felt were included in the lowest priced system that they offered you. On top of our Guarantees, Brackett Heating and Air makes you a promise as a customer that you will always be treated fairly. We will give you our cell phone numbers so that you can talk to someone who will be able to help you with any problems you have if you are unsatisfied during your time with us. We want you to be part of “Our Family” and make every effort to exceed expectations so that not only you are happy with our service, but also refer us to “Your Family and Friends”.